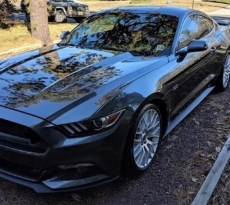 This Mustang of the Moment goes to Mustang6G member Shamlan and his 2016 Mustang GT. 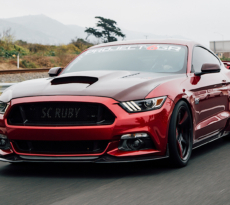 Coming to us by way of Saudi Arabia, Shamlan’s performance packaged Oxford White 2016 Mustang GT features a 2.9-liter Whipple supercharger in custom red powdercoat paired with RTR Tactical Performance Competition Spec axle-back exhaust and custom cat deleted pipes. The transmission has been upgraded with McLeod RST Twin Disc 800HP Clutch with McLeod Racing Aluminum Flywheel, McLeod High Performance Hydraulic Clutch Line Upgrade and Steeda Autosports clutch spring. 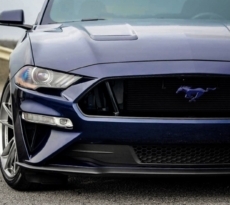 Suspension modifications include Ford Performance Street Lowering X-Springs, Steeda IRS Subframe Bushing Support System and Steeda IRS Subframe Braces. This Mustang GT gets the full Mustang RTR exterior treatment with RTR rear diffuser, upper grille with LED accent vent lights, side rocker splitters, rear spoiler and RTR Spec 2 chin spoiler. To round it out, the MMD decklid panel in matte black adds a nice contrast to the Oxford White paint, while the RTR Tech7 wheels give it that extra flare. Check out Shamlan’s Whippled Oxford White 2016 Mustang GT build journal and full modifications list in our forums.